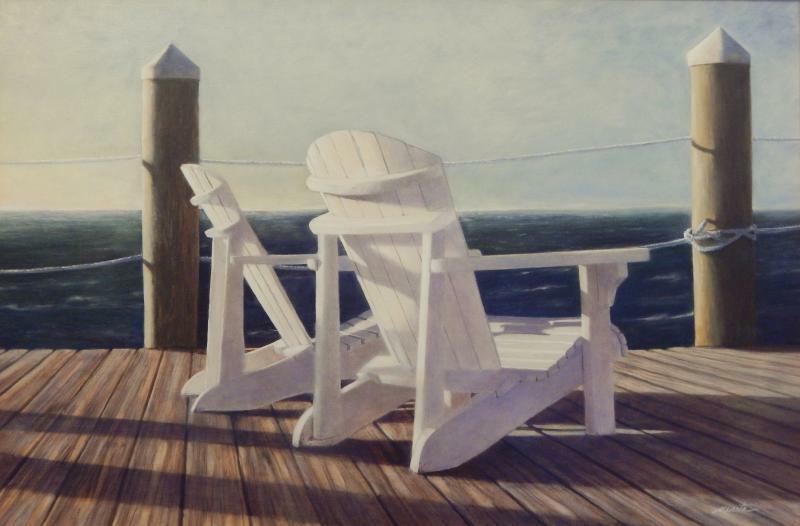 David Mesite's interest in art began in grammar school, while growing up in Meriden Connecticut. After high school he attended Paier College Of Art in the early 70's where he refined his representational approach to painting. With a degree in fine art and illustration, Mesite persued a career as a commercial artist while continuing his passion for painting. He then left the corporate side of art in 2009 and now works in his studio/home in Cheshire, Ct.
Much of the art he creates is based on inspirations from the Cape and other areas in New England. His paintings are hanging in homes and businesses throughout the country. Copyright 2012 David Mesite Fine Art. All rights reserved.